Raederle: What is Live Food? In the past I – Raederle – have struggled with the following: acid reflux, fatigue, bad breath, flaky scalp, mood swings, itchy eyes, migraines, depression, acne – and more. You probably have or will experience many of these during your lifetime as well. Diet can be the cause and the cure. 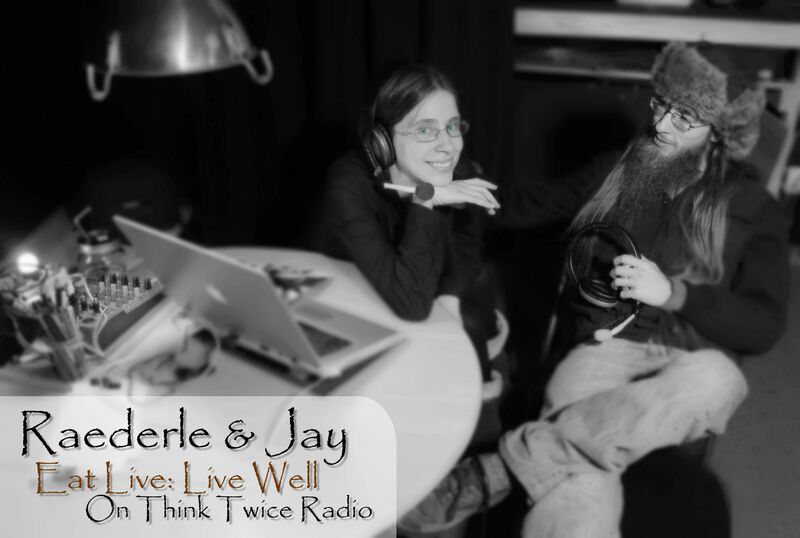 This show is about providing information to empower you with the ability to heal yourself. Live food is refers to raw food – food that is not processed; food that is not cooked. 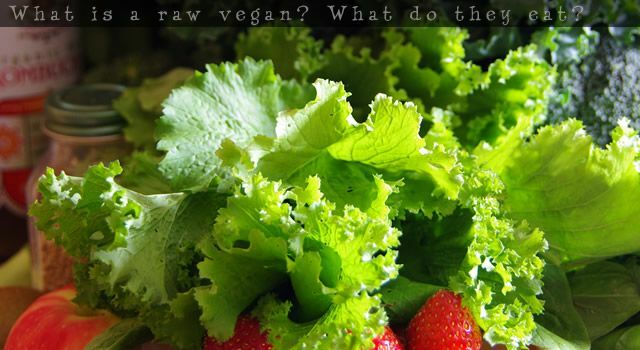 If you've ever eaten a plain raw apple, carrot, stick of celery or slice of pineapple then you have eaten raw food. Raw foods are “alive” because certain aspects of the food “die” when cooked. Enzymes are denatured – or “killed” – through heating foods over 105 degrees Fahrenheit. Technically some are denatured at 105 degrees and some can withstand up to 118 degrees. All of the work being done inside any cell is being done by enzymes. The cytoplasm of a cell can have a thousand different types of enzymes at any given time. Enzymes are made from amino acids. The chain of amino acids folds into a unique shape – a unique enzyme. The sugar maltose is made from two glucose molecules bonded together. The enzyme maltase is shaped in such a way that it can break the bond and free the two glucose pieces. The only thing maltase can do is break maltose molecules. Lactose intolerance is caused by the inability to digest lactose. Lactase – the enzyme that breaks apart lactose into glucose – is already present in milk before it is pasteurized. Many lactose-intolerant people can drink unpasteurized – raw – milk. When food is heated, the enzymes are denatured and no longer work. This creates a demand on our bodies to create enzymes. When digesting difficult cooked/processed foods our body will need to convert metabolic enzymes into digestive enzymes. A metabolic enzyme is about one-eighth as strong as a digestive enzyme. Thus, we'll lose eight enzymes in our liver, kidneys or heart to make one digestive enzyme in our stomach. A protein is any chain of amino acids. An amino acid is a small molecule that acts as the building block of any protein. As far as your body is concerned there are two different types of amino acids: essential and non-essential. Essential amino acids cannot be created, and must be obtained through food. I grew up on a diet that was almost wholly cooked/processed. I had milk on plain unsweetened wheat-based cereals for breakfast or eggs on buttered toast. For lunch I ate yogurt, ramen noodles, more cereal or leftovers from the previous night's dinner. For dinner my family aimed to serve one portion of meat, one or two cooked vegetable options and potato or pasta. It was just as the old food pyramid suggested – lots of breads, pastas and starch, a little vegetable, a little meat, a little dairy and the occasional fruit. As a toddler I was always tired. As a pre-teen I had constant infections. As a teenager I began to get daily acid reflux, migraines and anxiety attacks. Doctors blamed this on genetics and prescribed pills for me that made me nauseated or gave me headaches. My husband – Jay – has experienced food-related problems as well. Misconception: One must eat certain kinds of food, such as meat, in order to get a "complete protein." The myth that vegetables have incomplete proteins was popularized by a book in the 1970s called "Diet For A Small Planet" by Frances Moore Lappé. The same author released another book with the same title in the 1980's where she admitted she was wrong. In other words, the person who came up with the idea of a "complete protein" recanted ten years later. A "complete" protein is defined by having all of the essential amino acids. All vegetables, even a cucumber, have all essential amino acids that make up a so-called "complete" protein. As long as you're eating enough calories, you're eating enough protein. The World Health Organization recommends that 5% to 10% of the calories we consume should come from protein. The calories in a vegetable average 22% from protein, 10% from fat and 68% from carbohydrate. When you consider herbivores in the wild, such as gorillas and elephants, raw fresh vegetables is the base of their diet, and is enough for them to grow stronger, larger and healthier than humans. To learn more about protein, click here. Celery calorie breakdown: 9.2% from fat, 17.2% from protein and 73.6% from carbs. Celery is typical for a vegetable. Celery takes more calories to chew it than it provides. It's a great weight loss food. Chewing celery itself combats stress by releasing comforting hormones in the brain. Celery is also great for hydration. It has high water content and some structured sodium. Celery alone is plenty of protein from a quantitative standpoint. Click here to learn more about celery, and/or to listen to the celery song. Watercress calorie breakdown: 7.9% from fat, 42.1% from carbs and a whopping 50% from protein. Compare to beef: 41.7% calories from protein. Compare to kidney beans: 23.7% calories from protein. By calorie, watercress has more protein than beef, and more than twice as much protein than most beans. The protein in beans, meat and nuts is digested differently than the protein in vegetables. The protein in watercress is easily digested. There is fiber, water and minerals that work with the protein in your body. In raw plant foods, such as watercress, all the enzymes are active and ready to be catalysts for chemical reactions. When you're not stealing metabolic enzymes from your organs to help you digest your food, you have a lot more energy. The dense fat and denatured protein in many cooked foods is so arduous to digest that you spend hours trying to digest it. Quick digestion is vital to hormonal balance. A hormonal imbalance leads to depression, insomnia, fatigue, anxiety, inability to gain muscle and difficulty losing weight. Hormonal functions are affected by every aspect of our lives: stress levels, when we sleep, how long we sleep, etc. Insulin levels go up when we eat, and insulin is a hormone. We've been told that small meals throughout the day is good – that it will keep our blood sugar steady. If a hormonal imbalance is already present, this may create more trouble. When insulin is up our growth hormone is down. Growth hormone is what allows us to build muscle and burn fat. If you're still digesting when you begin to exercise and/or start eating immediately afterward then you don't produce much or any growth hormone. Therefor you don't build muscle or burn fat effectively. This topic is something that Dr. Ritamarie discusses in detail in her literature. If you have a sensitive digestion then exercising while you're still trying to digest food can upset the entire body. Exercising during digestion may cause stitches in your sides, sudden fatigue, dizziness, nausea or acid reflux. Drawn-out digestion can block muscle production, hinder weight loss, cause fatigue and lessen nutrition extraction. When we fail to digest something within our stomach, further digestion in our intestines is not probable. Instead of consuming the food ourselves, bacteria and parasites eat it instead. When you take antibiotics or come in contact with strong molds or bacteria then our helpful flora is killed off in droves. A hundred years ago we could have had the healthy bacteria put back into our bodies by drinking from a river or well or consuming some dirt on a plant. Healthy flora is important for absorption of b-vitamins which regulate our nervous system. Without adequate b-vitamins we may not be able to smell well, think clearly or feel happiness. The brain is a mass of nerves, and without b-vitamins it doesn't function correctly. Lack of b-vitamins can result in schizophrenia. I've personally encountered many people who cured their schizophrenia by taking b-vitamin supplements. However, if you have healthy flora and a healthy diet, getting enough b-vitamins is easy without supplements. Raw fruit and vegetables digest quickly. Melons only take about twenty minutes to digest, as they are primarily water. Most raw fruits take thirty to fifty minutes to digest. Fatty fruits are an exception. Coconuts, olives and avocados take several hours. Most raw vegetables take an hour or two to digest. Vegetables take longer is because of vegetable fiber which must be pulled apart from the minerals and sugars present in the vegetable. Beans, meat, dairy, eggs, fish and most cooked foods take a bare minimum of three hours to digest. These amounts are based on a healthy digestive system. Many people still have food inside their intestines from three days ago. The fiber is great – its like an army of little brooms coming to clean your intestines. People with serious conditions may want a faster approach. The fastest and most effective digestion possible will occur when drinking fresh home-made raw juice. Juice is the essence of plants minus the fiber. The difference between a juicer and a blender is that the juicer removes the fiber from the food and puts it into a pulp bin separate from the juice. An inexpensive centrifuge juicer can cost as little as $70. We own the L-equip XL, a centrifuge juicer that cost about $100 dollars. A centrifuge juicer is great for making juice from carrots, apples, celery, citrus, tomatoes, chard stems and beets. We also own the Omega 8005, a masticating juicer, which uses a mashing-squishing action instead of spinning blades. The Omega 8005 cost us about $250 dollars. A masticating juicer is excellent for juicing spinach, lettuce, wheatgrass – any leafy green – and it also can do carrots and celery well but it is much slower with these foods than our centrifuge. You may also add half a beet or a whole beet, chard stems or apples. This juice is loaded with nutrition, providing plenty of beta-carotene which we turn into vitamin A within our bodies, a full day's supply of vitamin C and in 250 calories this juice provides 8 grams of protein. In just 150 calories this juice provides the full day's supply of vitamin A, vitamin C, vitamin K, folate, half our needs for the array of b-vitamins excluding B12, as well as about a third of our needs for minerals. In those 150 calories is 11 grams of protein. It would take over 200 calories of sausage to get 11 grams of protein. But you'd also get 18 grams of toxin-laden fat and virtually no nutrition except some zinc. We'll talk about why I call it "toxin-laden fat" in a later episode. You can check out more juice recipes here. It's our aim to empower you to be happy and healthy. If you're feeling inspired or empowered right now, then we'll consider this a job well done. If you're feeling staggered or overwhelmed, then take a break, drink some water and do something fun. If you have a heath or fitness question you'd like us to answer visit the contact page.